There were no references for me as a kid - in popular culture, storybooks or in the media that I was exposed to...there was nothing to find myself in, or any kid that looked like me. It was like sailing through childhood without an anchor. There were no storybooks about Muslim kids, there were no movies about Pakistani kids. There were tons of cartoons, movies, stories about Christmas and Halloween...I wanted so badly for our holiday to be as fun. But it always seemed more about stuff the adults wanted to do, than making anything about the kids. It wasn't about passing on a feeling, a tradition that was made to be enjoyable for children, it wasn't tailored to fit us, we were tailored (literally) to fit Eid. 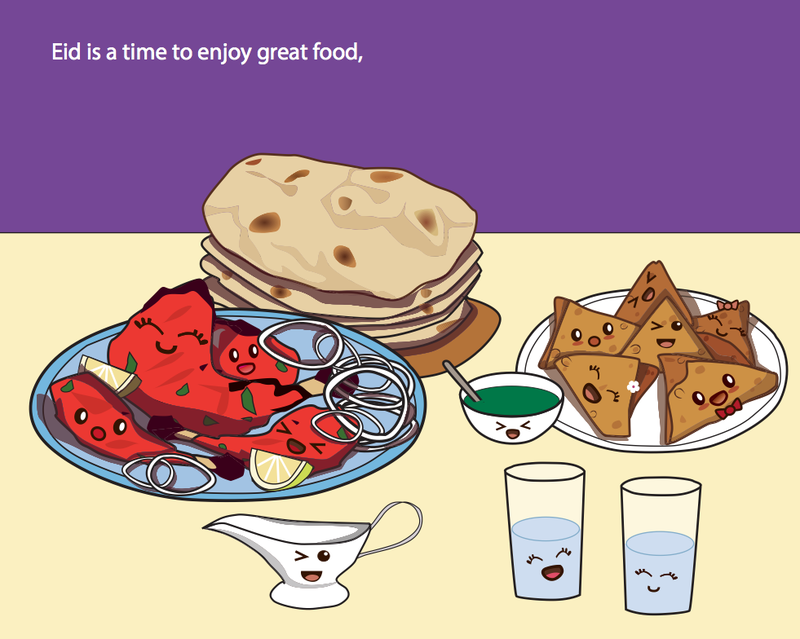 Sheer Khorma (a vermicelli milk-based dish) is not exactly a child-friendly dessert. A stark white envelope of cash is not really fuel for your imagination. 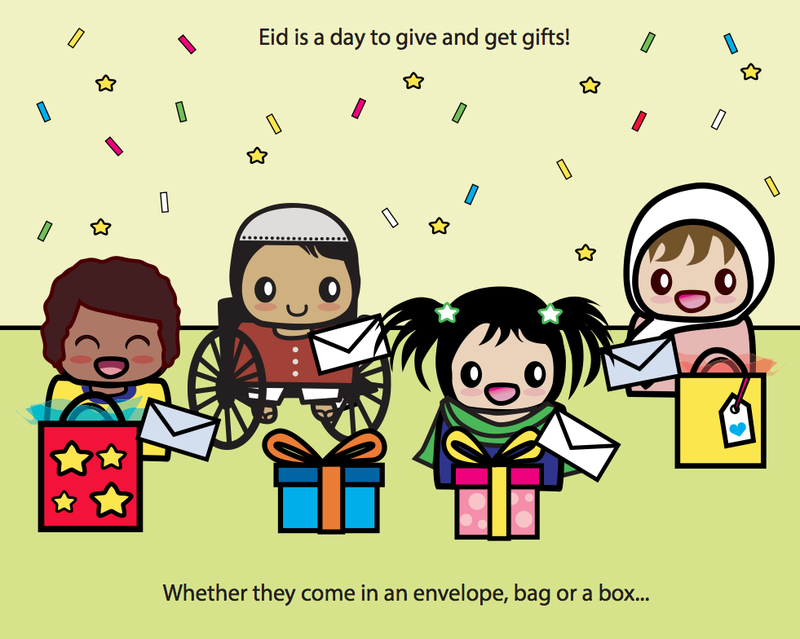 Of course, some individual families may make the effort to buy gifts and wrap them up, do more kid friendly things - but as a whole Eid doesn't measure up. Let's face it. And it's on us, we as a culture don't make the effort to make things kid-friendly. I am not a fan of religion, nor an adherent. But the Muslim part of me is my history. Its an important part of my identity. I may not be a practising Muslim who will raise Muslim children in the traditional sense. 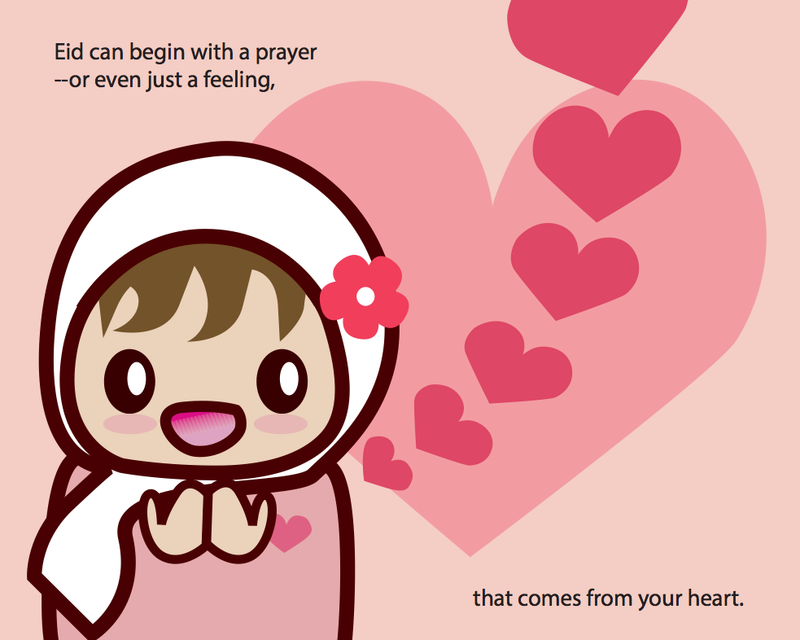 But all the biases and prejudices against Muslims do affect my life. I have a Muslim name, an olive-skinned face, my over 65 year old dad has been harassed on a plane before because of his Muslim name. My brother was yelled at on the subway and called a 'terrorist', because he has a tiny goatee. I won't even get into the countless issues my husband has had with travel because of his name. So being 'Muslim' is a part of my life, whether it is my religion or not. 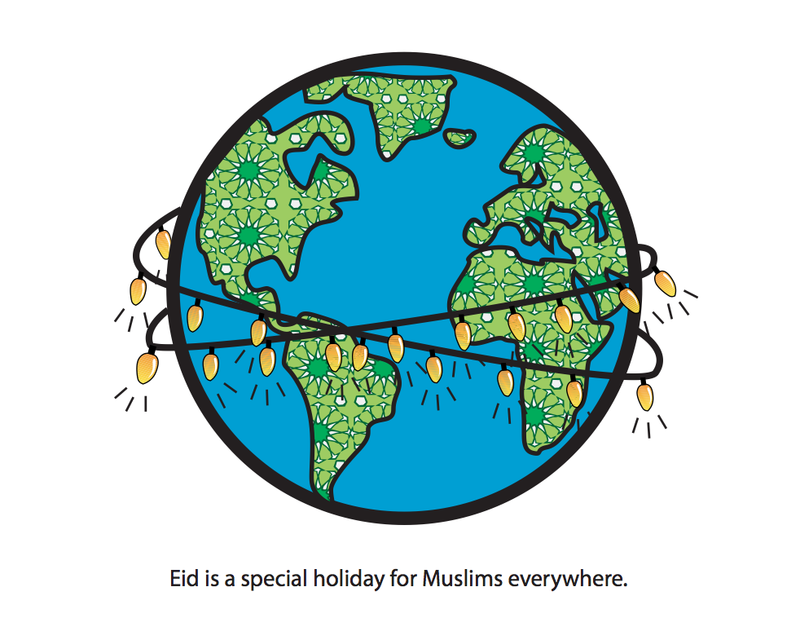 This is why I chose my next book to focus on the Muslim holiday of Eid. 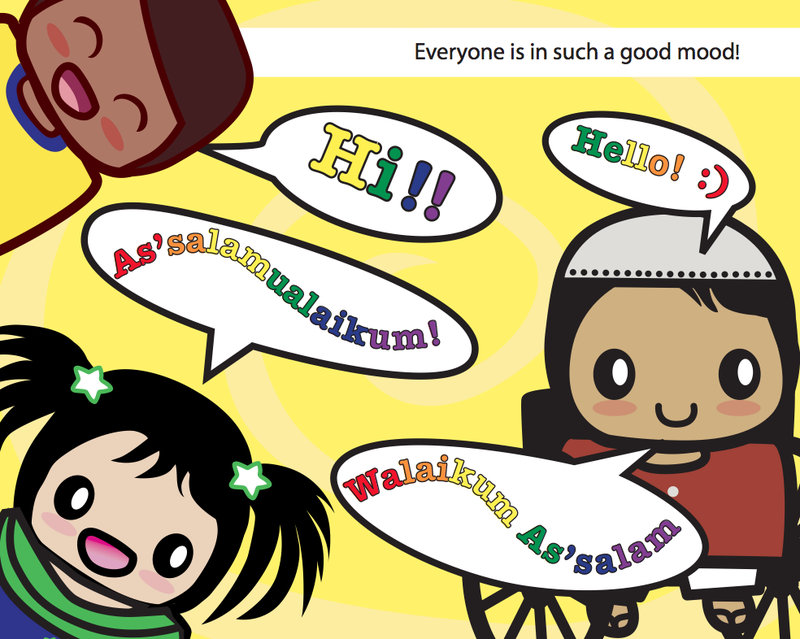 I want our kids to see themselves in books, to see the diversity amongst Muslims. Every child in the world needs education about diversity, but Muslim kids are in desperate need of it. Increasingly so, fundamentalist Muslims interpret their religion in a way that is rigid, literal - with no room for diversity. In their eyes, there is only one kind of Muslim, one way to practice. People who practice differently or don't practice at all are worthy of death. This is the ignorant hateful mentality that is at risk of spreading. 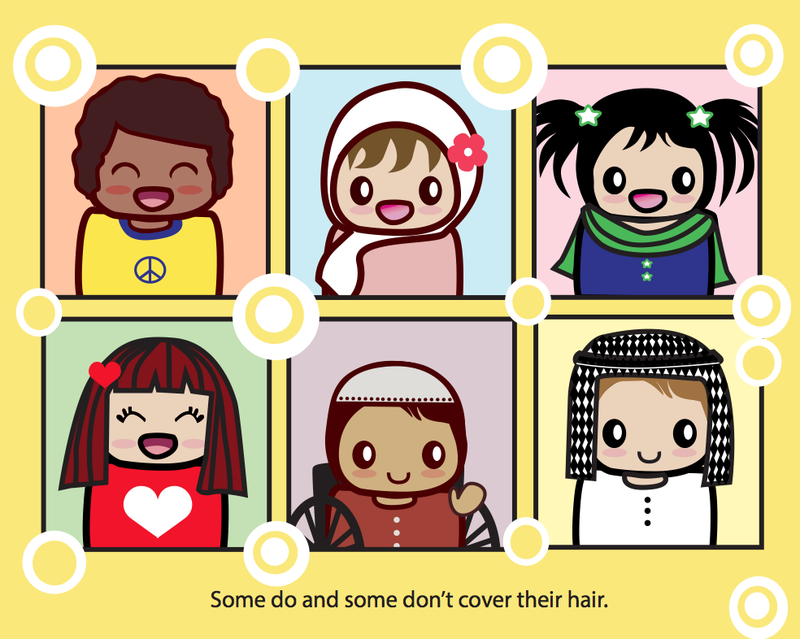 Muslim children's stories should be told too. As I've mentioned before, in my opinion - Muslim kids have *very* little in terms of resources that are not written from an extreme religious perspective. 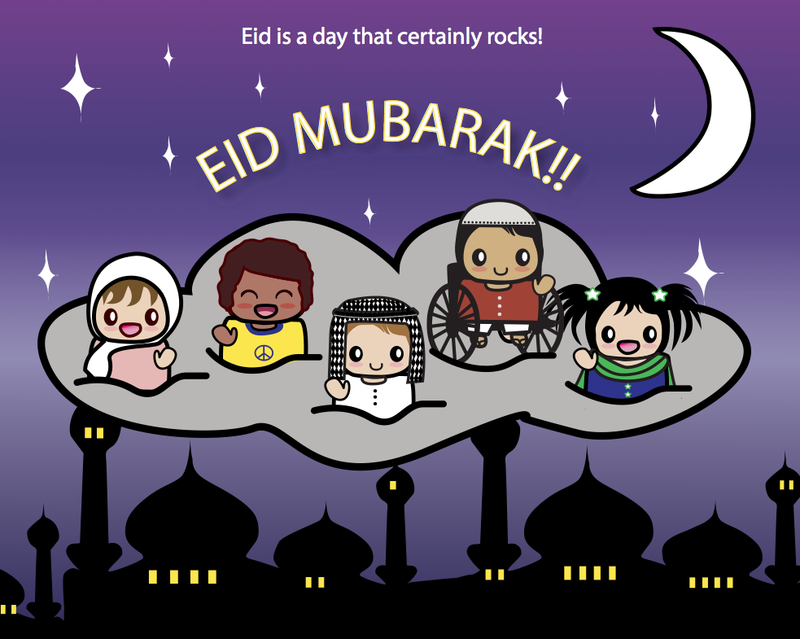 I may be a non-believer, but I recognize that Eid or Islam, or religion in general is not going anywhere. Which is why I think its important to stress that we re-evaluate, reform and seriously update what we do have in existence. 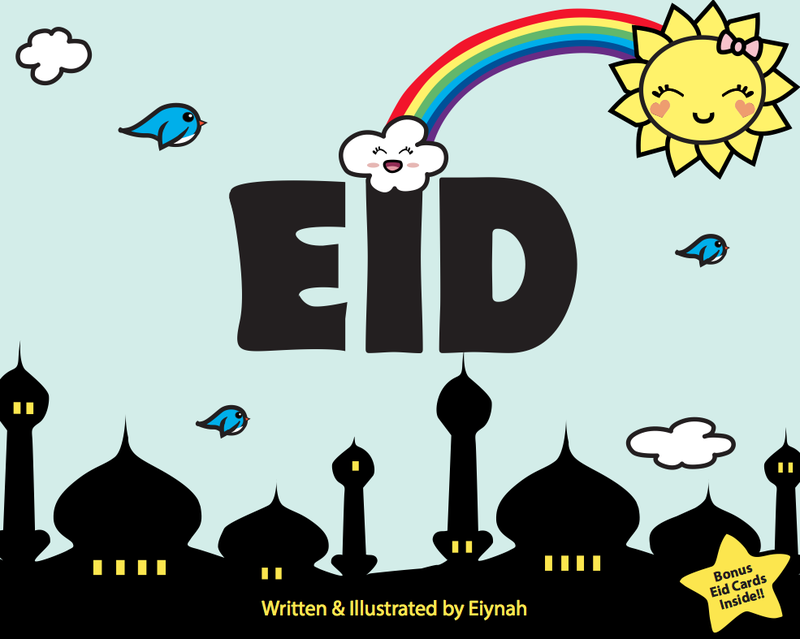 I will not raise my future kids in the faith, but they'll definitely know what Eid is. And perhaps we will have a re-interpreted, non-religious celebration of it in our home. I'm sure there are plenty of other Muslim, Ex-Muslim parents who feel that way. But in order for that to happen, we need to bridge the gap between our lack of belief in the religion and our culture/history. As it stands right now, these aspects cannot co-exist peacefully. 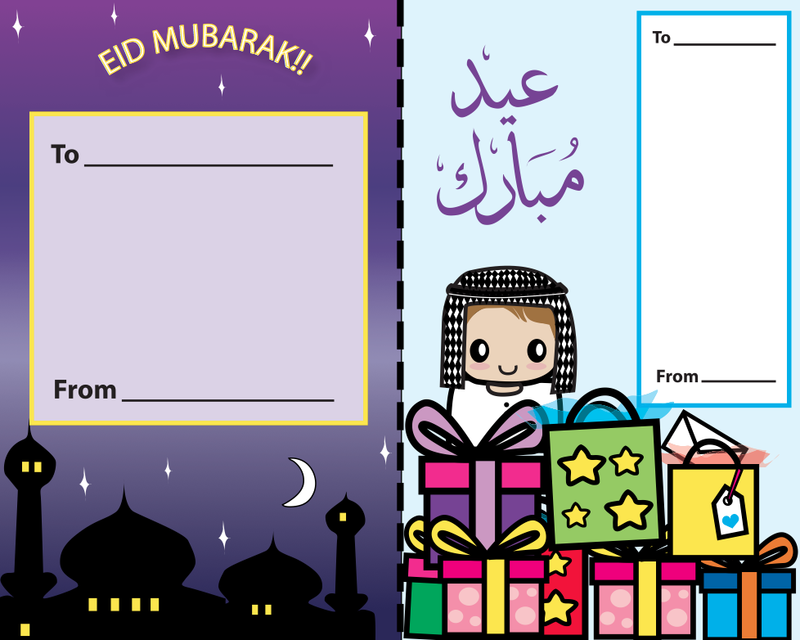 I aim to speak to both non-theist families as well as traditional Muslims, while referencing the holiday of Eid. 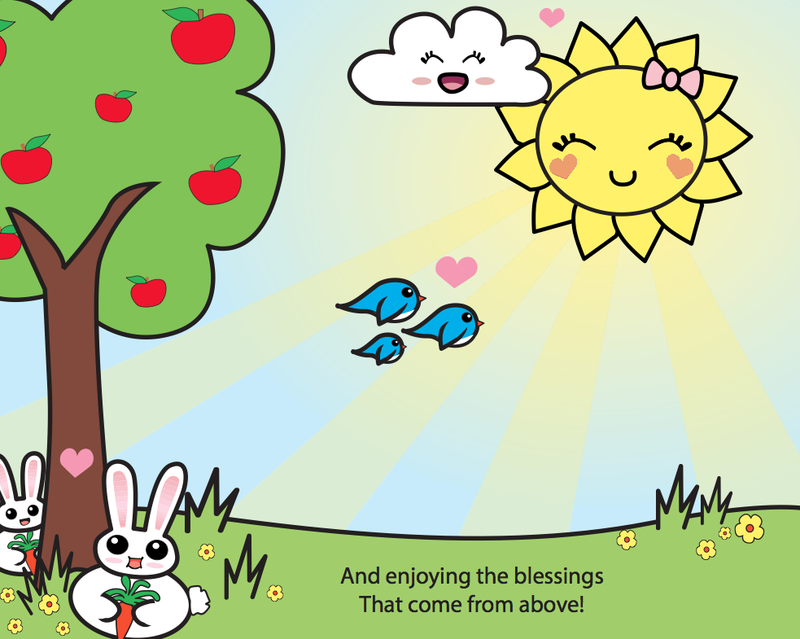 I hope to have created something that children will enjoy visually and conceptually. 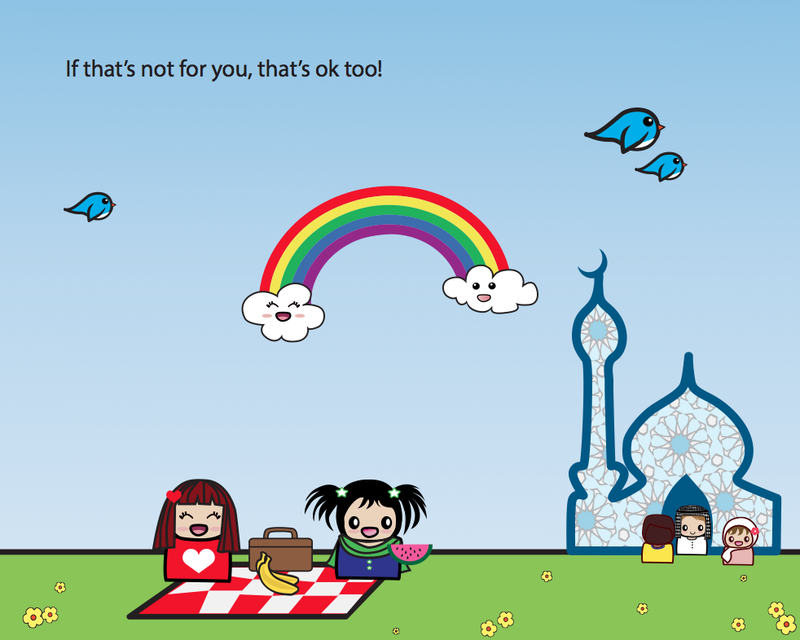 I also hope it is relatable to children from muslim families of all types, all over the globe. I feel it's important to bridge this gap between the practicing and non-practicing especially in Islam, because it is really only us that interpret things so literally still. It is Muslims who cling on to blasphemy laws. It is Muslims who wish to punish people who have left the faith, and the less extreme wish to scrutinize those who are not as pious. In most other religions, whether you practice or not isn't regarded with such strictness...Imagine if our children were taught this fluidity, this softness and tolerance. I hope, for kids like myself who would have rather played Super Nintendo in their rooms throughout Eid parties, that more kid-friendly Eid things follow. 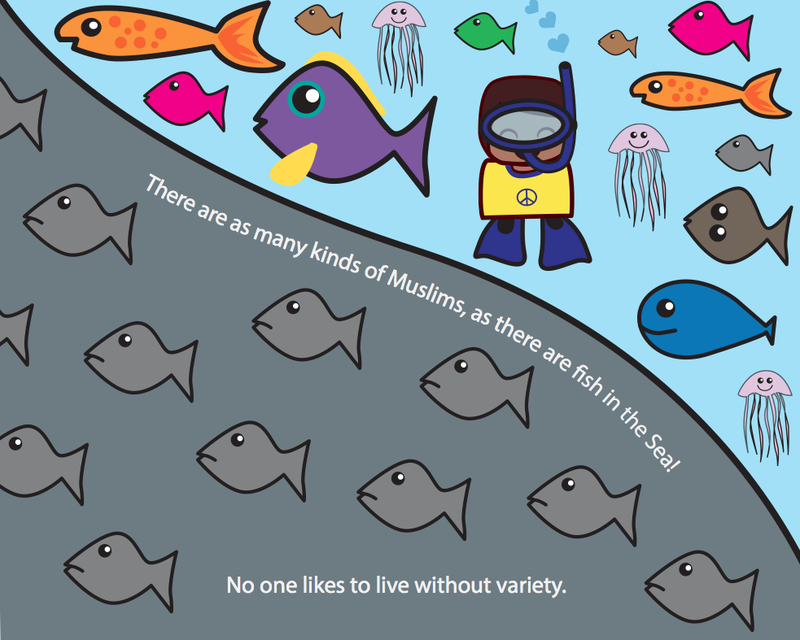 I hope children can be taught that varying degrees of religiosity or non religiosity exist, that several types of Muslims exist. 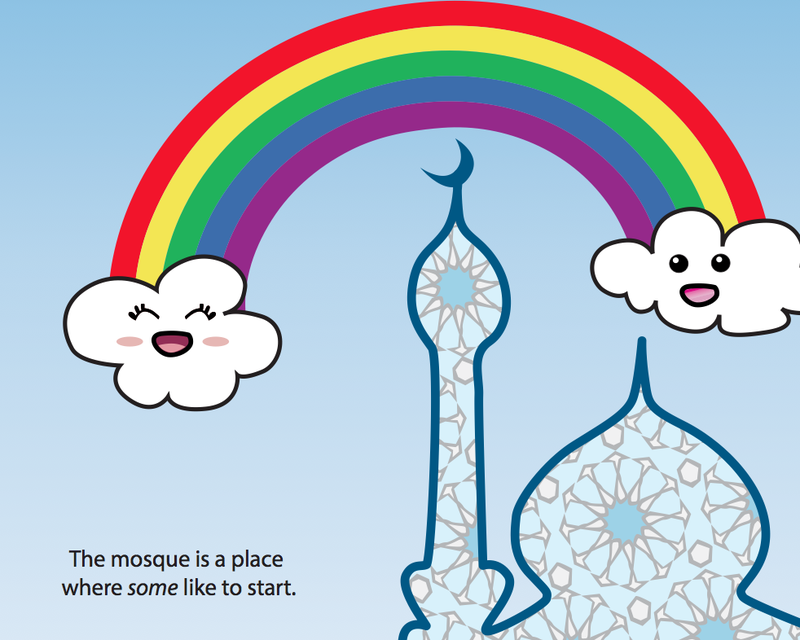 That Muslim kids in the West can see themselves in the general narrative...that they stop being seen as the 'other'...that the rest of the world gets to see Islam in a softer, more positive light. This book is dedicated to everyone who has been told they are not the right kind of Muslim, to all those who have been told they are not Muslim enough, to anyone questioning and needing the space, to ex-Muslims who's history is delicately intertwined with their lives. To Ahmedis, To Shias, To Ismailis ...may we raise kids with more tolerance than the current generation. Ps - I realize that some of you might scream 'Orientalism' about my minaret skyline, I will ask you not to be so tightly wound. A condo and skyscraper skyline was just not cutting it. I think this is historically important and a game changer. 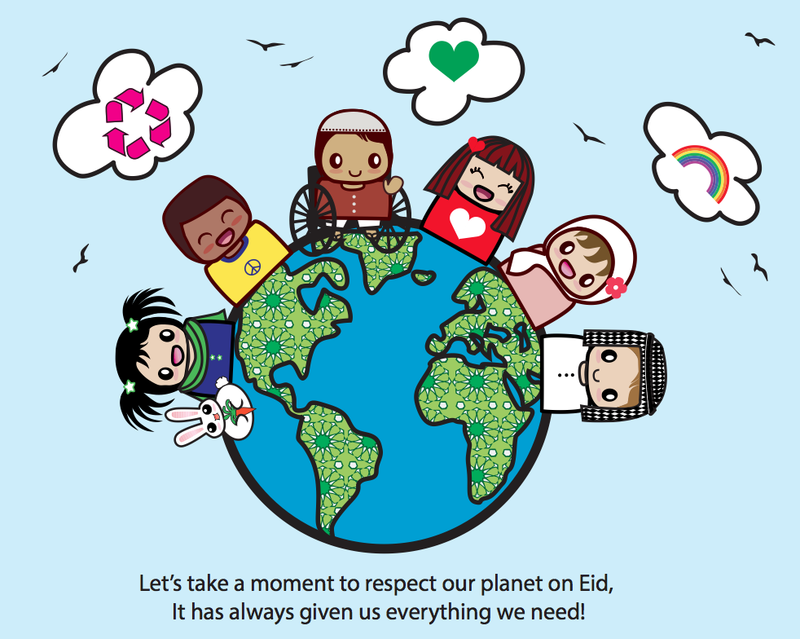 When other cultures have taken the extreme religiousness out of their holidays to make it more accessible and interesting , appealing to children, why cant we? Why must we be the ones stuck in the dark ages always. Another job well done. I hope this is well received. Silly post. 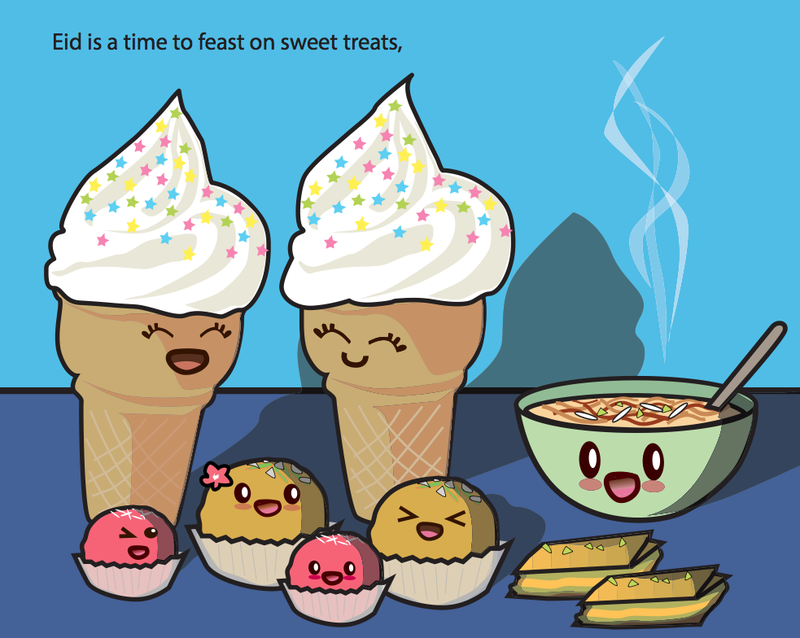 This could only have been written by someone who has never actually been to an Eid celebration. Absolutely LOVE this. As a Muslim mom who is technically Shia, basically pretty new age-ish & sometimes practicing, sometimes not..adamantly spiritual..I see this work as so pivotal. it brings my kids into the fold whereas they may or may not have been before. I'd love to have a hard copy of this.. Thank you for your kin words! So glad you liked it and felt it spoke to you <3 Stay tuned, I will hopefully have some hard copies before next Eid! Idk Eid's always felt about as miserable as Christmas seems like. Christmas has its stresses but it has been gradually secularized over the years. We've taken the old traditions and made new ones. I'm an ex-catholic atheist. I've been an anti-theist longer than I've been an atheist. It's never stopped me from enjoying a secular version of christian holidays. It did take me years though to stop giving up things for Lent. We stole Christmas from Pagans of course....but it's been a long tradition to celebrate with family and friends while the nights get shorter. In that way there's something beautiful and ancient about it. When I was younger I found it hard being surrounded by all the symbols I knew were appropriated by the Catholics from the Pagans by the sword and I still take time each year to acknowledge that in some small way. 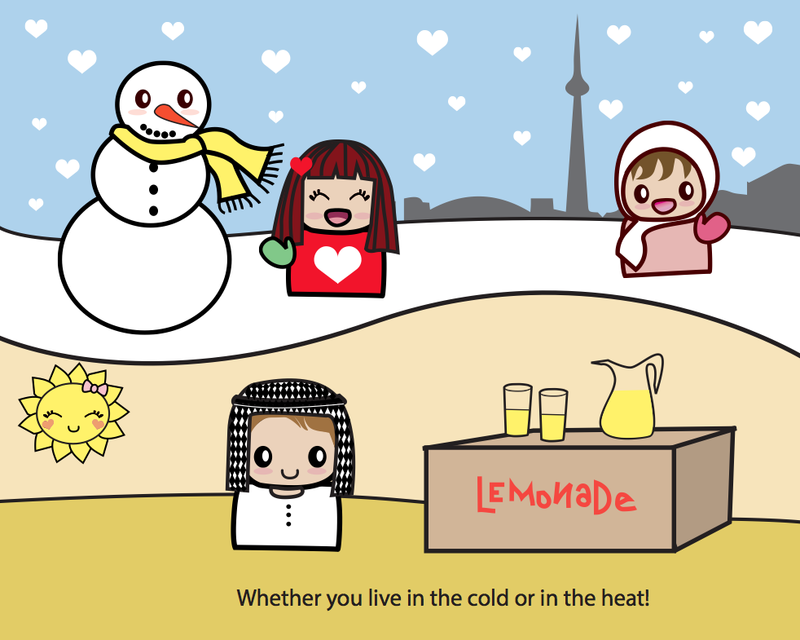 Holidays at their core are I think about family, friends, food and celebrating surviving another season. I don't think it's a coincidence that in the northern climates periods of fasting begin during the dead of winter when food would have been getting sparser as what they had in storage was running out. I just want to say....I think this book is a great idea. 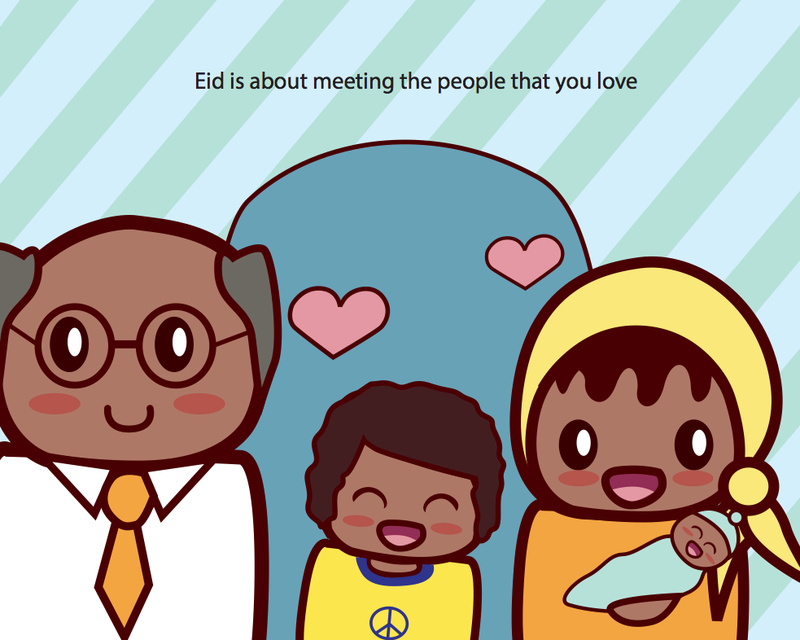 I think it's beautiful and I hope someday that muslims, ex-muslims and those in between can celebrate Eid however they would like as they move forward creating their own new traditions. I can imagine this book being read out in a class for children from all faiths and none and I hope that happens in the future.